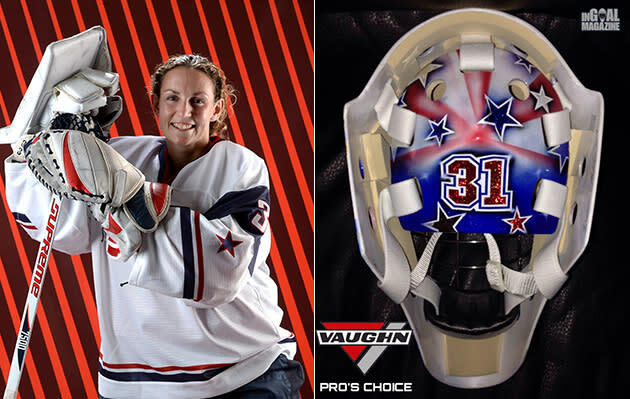 U.S. women’s hockey goalie Jessie Vetter had an awesome concept for her 2014 Sochi Olympics mask: Using actual 23 karat gold in the paint – hey, she’s going for gold, right? – and adorning it was inspiring American iconography. One of the images was of the Constitution’s famous opening line, “We The People” and some text from that historic document. 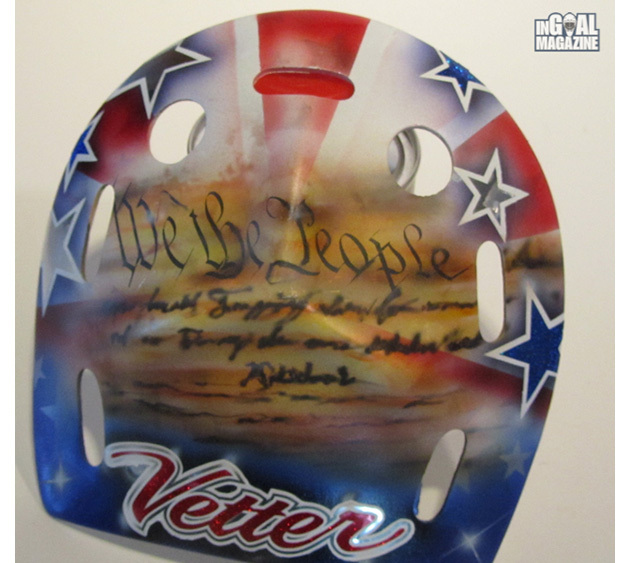 But when Vetter takes the ice for Team USA next month, it won’t be found on her mask – the International Olympic Committee ruled it had to be deleted. The IOC’s Rule 51 bans any sort of advertising, demonstration, and/or propaganda on an athlete's equipment at the Olympics. American men’s hockey goalies were hit with the regulation in the 2010 Vancouver Games, as Jonathan Quick’s “support our troops” slogan and Ryan Miller’s “Matt Man,” a tribute to his late cousin who died of leukemia, were stripped from the mask designs. 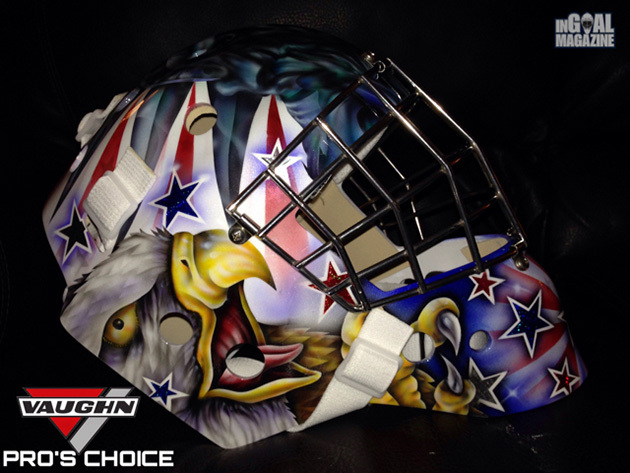 Vetter and Slater were able to keep a USA logo, the Statue of Liberty and a bald eagle on the mask, as apparently none of that is propaganda. Here's the new back to the mask. Look, the Olympics have any number of silly restrictions on freedom of expression, and the idea that the U.S. Constitution is seen as “propaganda” rather than a procedural document establishing societal and governmental rules is asinine. But our real question here: If Jessie Vetter can’t have a few words of the Constitution on her mask, why can Team Slovakia have their ENTIRE NATIONAL ANTHEM sewn into their hockey sweaters?